Humans have been using plants in medicine for hundreds of thousands of years, and they've been cultivating them almost as long to ensure a steady supply for their needs. While the practice of maintaining an herbal garden has fallen out of favor in a lot of regions, some people still like to grow things like mint and other herbs for teas at home. And, of course, the famous Chelsea Physic Garden in London is still going (and growing) strong as a repository of unique, beautiful, and historically important plants, including those used in traditional herbal healing. Also in London, a new and fascinating project is springing up in Bethnal Green. Arts and culture organization Nomad is establishing a medicinal garden for the Phytology project, bringing artists and botanists together in what promises to be a fascinating collaboration. They'll be exploring the previously underestimated value of urban spaces that aren't carefully manicured and maintained with an assortment of medicinal plants, engaging members of the community in an ongoing creative arts project projected to last until 2015. One can only hope that this landscaping program will continue long past the deadline, because it promises to be highly intriguing. People in Bethnal Green and surrounding opportunities will have an opportunity to learn more about medicinal plants, gardening, the cultivation of herbs, and potential new uses for vacant lots and other unused urban spaces. We love urban gardening here at Networx, and the takeover of lots for fruits and veggies, but the cultivation of medicinal plants is more unusual. Many plants with medicinal value are treated as weeds by people who aren't familiar with their uses or who are focused on other things. What at first glance may look like a weed-filled lot or meadow can in fact be a treasure-trove of useful plants, including some that actually have a high commercial value. Phytology aims to get people rethinking the value of plants, weeds, and open spaces in urban areas by creating a deliberately cultivated space rich in plants with a variety of medicinal uses. Members of the community will be invited to enter what has previously been an empty lot with plants running wild to learn more about what's growing there and to harvest their own plants for culinary and medicinal uses. What is currently an eyesore will instead become a community space that revolves around collaboration, learning, and increased understanding of the natural world. Nomad's project will bring together a huge range of people including street artists, botanical illustrators, master gardeners, and more, creating a living and interactive testimony to the power of gardening. Creating greenspace within cities is also an incredibly valuable contribution to quality of life. Such spaces provide habitat for native animals in addition to helping to regulate temperatures and weather in urban environments; cities without much greenspace tend to be several degrees hotter, thanks to all the pavement, and can become their own microclimates. Parks and other green areas have demonstrated benefits for human health, too, including both mental and physical health. In this case, with the plants serving an added medicinal purpose, the health benefits will be even greater. Herbal medicine can be used as complementary or alternative medicine, depending on the preferences of individuals and recommendations from their care providers. Just working in a garden can confer health benefits, and those who choose to harvest from the Phytology project will be able to enjoy a wide variety of tisanes and other herbal preparations for health. 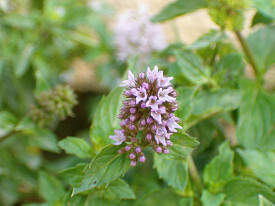 Furthermore, many medicinally beneficial plants also have culinary uses: our friend mint, for example, confers a great flavor to food even if you don't care to use it in tisanes for headaches, stress, or anxiety! If you've not in London and don't think you'll have a chance to visit the Phytology project while it's active, chances are that there may be an urban gardening program in your community. It's possible you could work with them on extending their activities to medicinal plants if it's a personal interest, or you can stick with your own back yard; hire a San Francisco handyman to help you build some beds, and get started!